Nasdaq Inside Trader Review, Dangerous SCAM Alert! 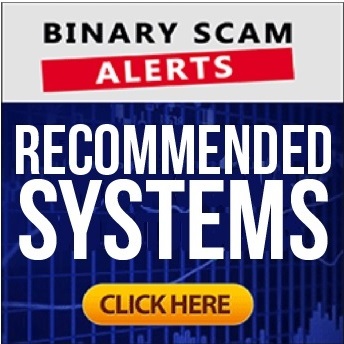 Binary Scam Alerts » Nasdaq Inside Trader,Scam Reviews » Nasdaq Inside Trader Review, Dangerous SCAM Alert! The Nasdaq Inside Trader by Alex Steele is a scam automated binary options software, and we blacklisted this fake app and trading robot in our fair and impartial review and investigation. A word of caution, if you have received any form of SPAM email communication in regards to this thieving, fraudulent offer make sure to unsubscribe immediately and never click on any links since we have already received initial reports of Spyware being illegally installed. We have it from our most trusted sources that Nasdaq Inside Trader, and the unscrupulous affiliate marketers behind it are directly responsible for defrauding and victimizing thousands of day traders. This offer is considered to be very deceptive, misleading, and particularly geared towards opportunity seekers looking to make an extra buck trading binary options online. Still, our staff easily detected the red flags and connected all the dots. Our evidence and findings are conclusive and leave no room for doubt. Keep reading to see how we exposed this band of internet crooks and why Nasdaq Inside Trader is a confirmed financial SCAM. Official Scam Website, Login Page, and Members Area: http://nasdaqinsidetrader.com/? Update: Nasdaq Inside Trader is now being marketed as the Nasdaq Method. As you can see Alex Steele is a fictional character and does not exist. His image was scraped from the internet or purchased from an image bank and used to “put a face” on this evil scheme. There is a lot more evidence and proof we have collected but we believe the image below is enough to demonstrate who and what we are dealing with here. How would you like to make over $180,000 this month, and then every month for life? Sounds realistic to you? Well Alex Steele is here to make it possible as he has created 34 millionaires during the past 18 months. Even more so, he will give you $2,000 just for filling our your details and signing up in the registration form. In the sales video we then see a parade of fake testimonials where the actors are all “totally blown away” by the amazing success this system has, and the massive amounts of money they have made with it. The narrative (which is riddled with holes, lies, fabrications, and inconsistencies) explains how Steele walked away from a job on the Nasdaq stock exchange that paid him over $6,000,000 a year. However, now he is making much more, and you are about to get access to his top secret inside methods, but the window of opportunity is closing and if you don’t signup today and get started you would have missed out on an easy and guaranteed way to make millions of dollars on auto-pilot from the comfort of your home. In reality this app is a rehash of older fraudulent software. It is designed with pure malice and with the sole intent of defrauding you and stealing your money. Don’t say we didn’t warn you and never give out your credit card details because we will not be able to assist you in getting a refund. No, it is not. It’s gonna cost you at least $250 to get started and that money will be charged to your credit card by offshore and unregulated brokers. The ones to watch out for are Tesler App, and Orion Code. Its sad but there are plenty of so called “honest” review sites that produce favorable reviews for outright bribes. The staff and management at Binary Scam Alerts has set very high standards, and our credibility tests are extremely hard to pass. The amounts of requests to endorse fake apps has grown exponentially during the last few months, and so has the temptation. Fortunately we have placed our professional integrity and the welfare of our viewers and subscribers first. This is why only the best and most reputable apps receive our seal of approval. If you are considering your options and deliberating what system is better for you then look no further. We have scrounged the internet looking for consistent money-making machines, and have found a few worthy apps. These systems are proudly showcased in our recommended section. Needless to say we are always looking for feedback, so please let us know after you try out our recommended software solutions. The Nasdaq Inside Trader by Alex Steele is a bona fide investment scam and rightfully blacklisted in our fair and impartial review. Get ready for annoying popups, badgering sales agents with foreign accents, overcharged credit cards, and hefty dose of grief and frustration. Nasdaq Inside Trader has all the classic scam tactics associated with it. Inflated bank accounts, hyped up and exaggerated claims of easy money, stolen image bank photos, and fake testimonials are just the obvious tells, but something much more sinister and crafty is happening behind the scenes. This fake trading robot is some criminal’s personal cash cow. It is a far cry from being a genuine trading app and has nothing to do with legitimate investing. It is a bogus app designed in collusion with scheming affiliate marketers and unlicensed AKA “deposit only” brokers that will steal your money in a New York minute if you simply give them your credit card information. In light of all these findings and proof of foul play, we have decided once more to advise our members and subscribers to seek alternative investment channels. To learn more join our Facebook Page and YouTube channel.